George I. Greenwood, 79, passed away on September 1, 2018. He was born on October 12, 1938 to George I. Greenwood and Alberta Derry in Menard, Texas. George served in the United States Navy from 1956-1962. During his service in the Navy he married his loving wife, Rita Greenwood, on June 7, 1958. George retired from Corpus Christi Independent School District but after retirement continued to volunteer during sporting events distributing the tickets to get into games. George will always be remembered for how hardworking he was and his love for cars. He enjoyed bartending and loved seeing people enjoying his meals. George is preceded in death by his wife: Rita Greenwood, father: George Greenwood and mother: Alberta (Malcolm) Orum, siblings: Joe Virgil Greenwood (JV), Evelyn Murphy, Delores Scott, Winona Samuels, Troy Greenwood, Gerald Greenwood, Victor Greenwood, George Greenwood Jr. , Ricky Greenwood, Therman and Herman Greenwood. 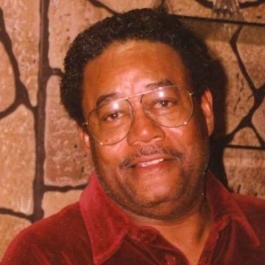 Left to cherish his loving memories are his partner of twenty five years: Cricella Bates, three children: Michelle Greene, of Houston, TX, Ronald Greenwood, of Corpus Christi, TX and Brent (Pamela) Greenwood of San Marcos, TX. Four sisters: Lenora Faye Hardeman of San Antonio, TX, Ann ( Carl) Arteaga of Portland, OR, Mary Jo (Ray) Williams of Oregon City, OR and Annie Ruth Nicholson of Las Vegas, NV, eleven grand-children & step-grandchildren; 6 great-grandchildren and numerous nieces, nephews, other relatives and a host of friends. A Visitation will be held from 5:00 p.m. to 9:00 p.m. on Friday, September 14, 2018 at Seaside Funeral Home. A Funeral Service will be held at 11:00 a.m. on Saturday, September 15, 2018 at Seaside Funeral Home Chapel. Entombment will follow at Seaside Memorial Park. Having the distinguished honor to serve as pallbearers are: Robert Greene, Chris Greenwood, Mark Greenwood, Jaime Greenwood, Brent Greenwood Jr. and Elroy Green Jr. Honorary pallbearers are: Herman Drinkard, Lewis Ridgels, Robert Mcgrew, Herman Polk, William Powell, Paschal Haywood and Floyd Dewitt.